As promised, more superb pictures to tantalise your tastebuds from Michelin star chef, James Mackenzie’s substantial first cook book, “On The Menu”. The official release date is 5th December, 2011, but Amazon has already put them on their pages for sale. 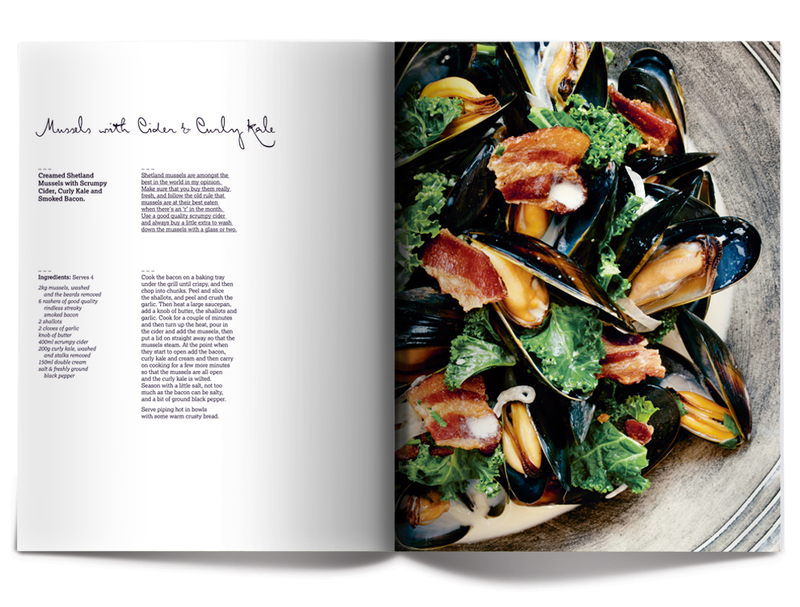 Mussels with Cider & Curly Kale - I want it NOW! The photographer is Jason Lowe, reknowned in the specialised world of food photography, and his stunning food photography in “On The Menu” enhances this stylish and informative new cookbook. Being me, I queried the unusual outer colour of the book cover, smooth black with white printing, and was told by (I have to admit this, my son) the designer, Anthony Hodgson, of Face Publications, that it echoed the many blackboards dotted around the walls of James’ establishment, The Pipe and Glass Inn. So much of Jame’s food is not only seasonal, but what just happens to turn up at his door each week from the specialised local food suppliers, so the many blackboards are changed and added to frequently. Therefore, the cover made sense, particularly to those ‘in the know’ who frequent The Pipe and Glass Inn, at South Dalton. The next picture is one of my favourites – so summery, so delicate, and it looks so tasty. What a feast for the eyes. This cook book doesn’t just ‘tantalise your tastbuds’. 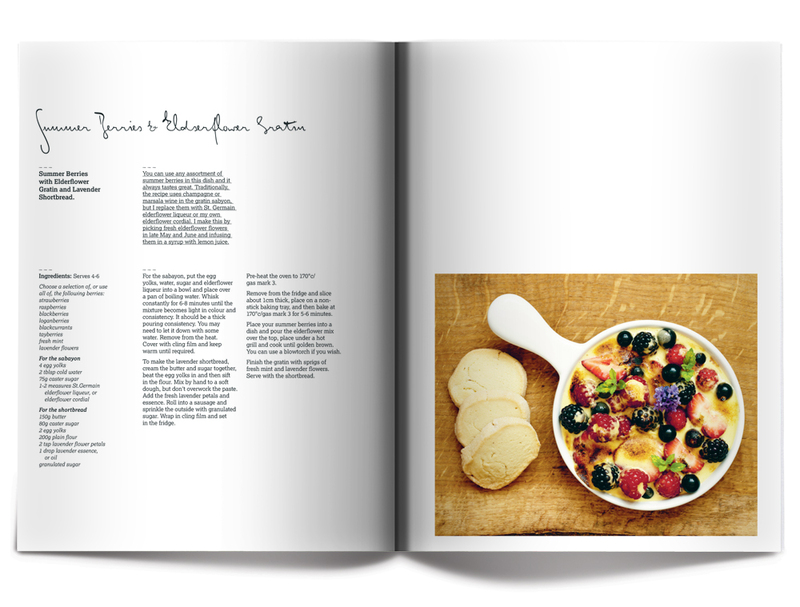 The pictures in “On The Menu” are sensational, and combined with the story of James’ and wife, Kate’s dream project coming true, plus the generous amount of recipes and tips, this cook book is not just one for Christmas, it is one for all seasons of the year. Click here if you would like more information on The Pipe and Glass Inn and would like to order “On The Menu” in early December 2011. Click here if you would like to buy an unsigned copy of “On The Menu” from Amazon.